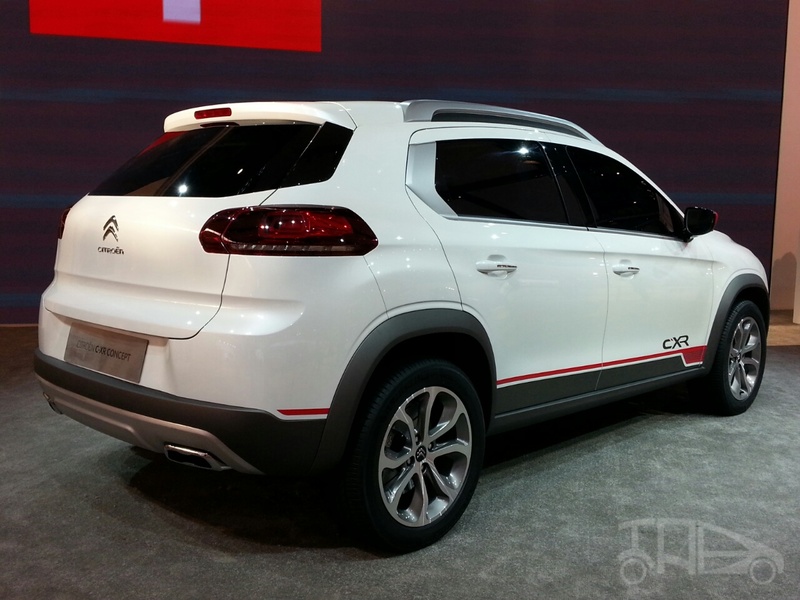 Citroen revealed the C-XR concept SUV at the 2014 Beijing Auto Show today. 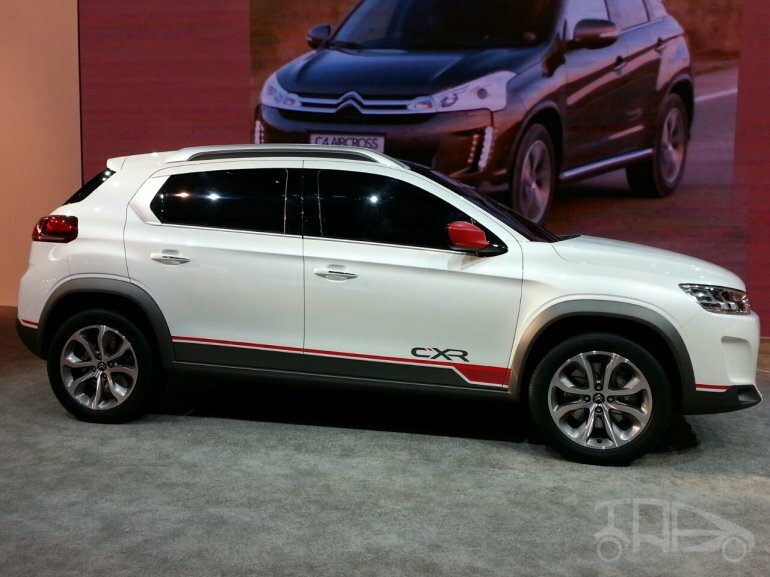 The C-XR has been developed by Citroen in conjunction with its joint venture partner DongFeng Motor Group. 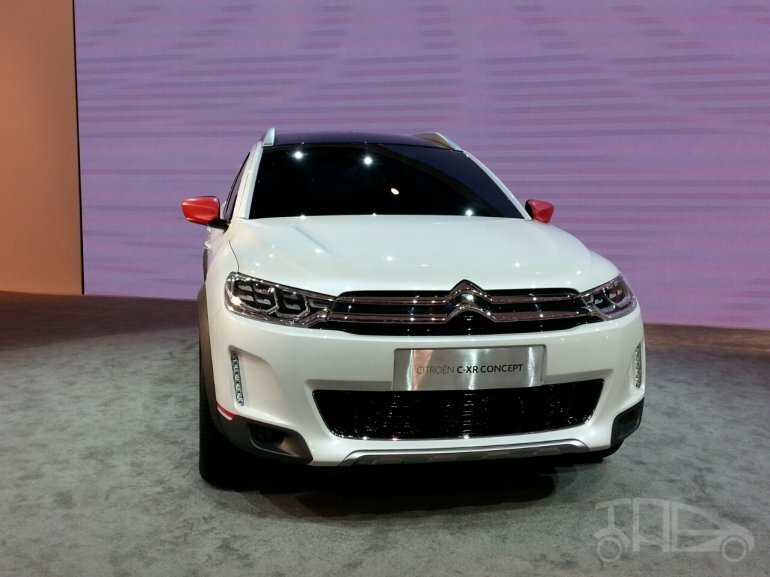 The for-China SUV has been developed, says Citroen, to take part in China's growing crossover SUV market. At the front of the SUV is a typical Citroen grille that merges into the distinctive LED daytime running lights. At the rear is a 3D effect taillight cluster and a chrome finished exhaust pipe. The eye-catching red outside rear view mirror coordinated with a stripe along the wheelbase is hard to miss. The SUV measures 4.26 metres in length, but gets a healthy 2.65 metre wheelbase. The front-wheel driven SUV gets all-season tyres, increased ground clearance and under-body and side skirts as well. Power for the C-XR comes from a 1.6-liter THP turbocharged petrol engine that also has start/stop technology. Power figures haven't been released yet.